Dimensions: Base 8.5" x 13", Height 12"
If you need to haul a lot of stuff this is the bag. 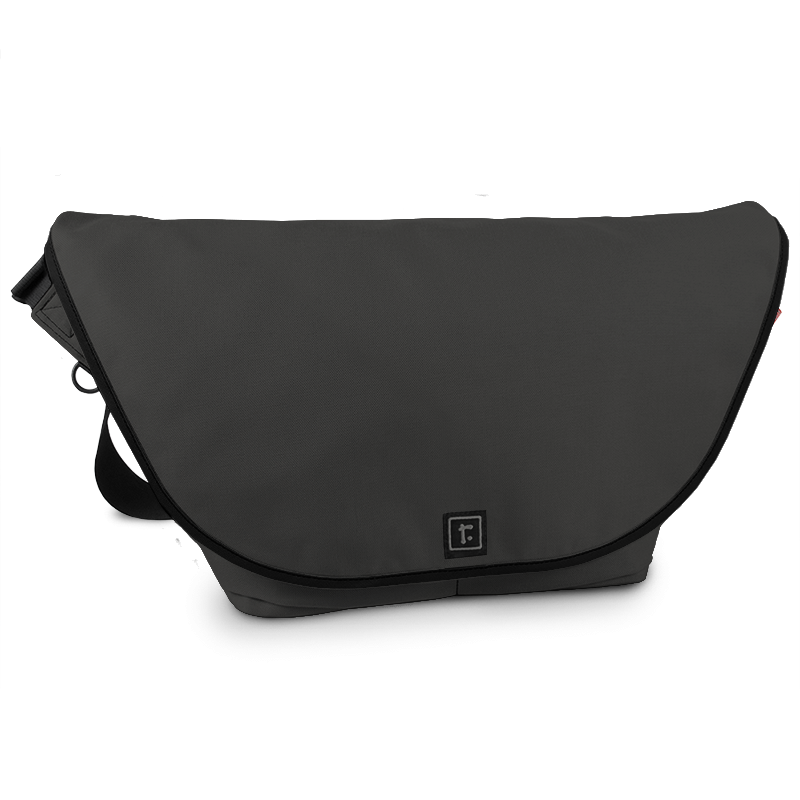 At only 2.1 pounds, the Large Zero Messenger Bag is perfect for all facets of urban life. Made in the USA, especially for you, in our own San Francisco factory. "Just got an email from you to bu..."
Just got an email from you to buy a bag. I really want another one but the zero messenger bag that I have had for 5 yrs. still looks great. I love this bag and use it every single day. keep up the great work. I have never been more pleased to write a review! As a person who has survived out of bags from deep wilderness to combat, my standards for quality are rather high. This bag is amazing! I ordered a large Zero Messenger to use as a diaper bag. I wanted something ultra durable but stylish that could be used later as more than a diaper bag. Like: strong enough for Highland Games kit or general man use. I also wanted it to have a family meaning attached to it (success! ), something no mass produced bags offered. Deciding between the medium and large was difficult because the large is modeled on a non-large person. I didn’t want baby and mother to be strolling around with a monstrous thing. But I was pleasantly surprised by the size of the large. I decided against the medium based on the dimensions of standard diaper bags because the bag tapers down and only matches similar bags at the top. The large is perfect for the current use as well as future uses. I compared this bag to my $600 handmade rucksack. The rucksack carries 130 pounds without incident. It has seen much abuse and looks great after 8 years, and Rickshaw’s material is an obvious step up in quality. Only the Zero can easily transition between vastly different environments. Other bags this durable are not so versatile. The Zero stitching is superior and attention to detail is apparent. The pursuit of the perfect balance of weight, durability, and cost is never-ending but Rickshaw seems to have made more progress than any other company. I thought I had found it when I spent $600. The large is light and soft to the touch. It is both masculine and feminine (and somehow neither) and more durable than anyone needs it to be. The accessory options are awesome. Good kit is important and the ability to add on to the interior is a big deal to me. For a diaper bag this will likely prove crucial. It helps to have certain items instantly available when needed versus digging around like an unprepared person. I am very happy with the accessories purchased and the options available for add-ons. I won’t give the price I WOULD pay for this quality but I got a stellar deal. And I’m planning my next purchase already. Very impressed.